John Christopher is a Registered Patent Attorney with an AV (Preeminent) peer rating by Martindale-Hubbell. His practice encompasses all aspects of patent, trademark, and copyright portfolio development, management, exploitation and enforcement, as well as business transactions related to intellectual property. He works with publicly traded and privately held companies (domestic and international), start-up and early stage companies, individuals, universities, and investors in a broad range of industries, including medical and dental devices, aerospace and automotive hardware, marine hardware, refrigeration equipment, computer hardware, industrial machinery, electro-mechanical instrumentation, consumer goods, dietary supplements, and sports equipment. Mr. Christopher provides counsel with respect to intellectual property matters from start-up through financing rounds, initial public offerings, mergers, acquisitions, partnering arrangements, and enforcement actions. He has served as the President of the Gold Coast Venture Capital Association (GCVCA), following many years of being a member of the Board of Directors. A former U.S. Air Force fighter pilot, Mr. Christopher was awarded a B.S. degree from the United States Air Force Academy and a J.D. from Northeastern University. 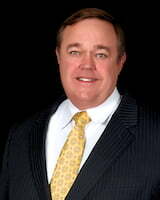 He is licensed to practice law in Florida and Massachusetts. An active member of the American Intellectual Property Law Association (AIPLA) for many years, he has served as an Association Delegate to Asia, meeting with and making presentations to senior legal and government officials in Hong Kong, China and S. Korea. Mr. Christopher is also a member of the International Trademark Association (INTA). He was formerly served as Chairman of the Corporate Counsel Section for the Broward County Bar Association and is a long-time supporter of the Intellectual Property Law Association of Florida. Mr. Christopher has been recognized by U.S. News magazine as “Florida’s No. 1 Intellectual Property Lawyer,” as well as one of “Florida’s Top Lawyers” by both South Florida CEO magazine and Florida Monthly magazine. He has been selected by his peers for inclusion in The Best Lawyers in America and has been awarded an AVVO rating of 10.0 (Superb).